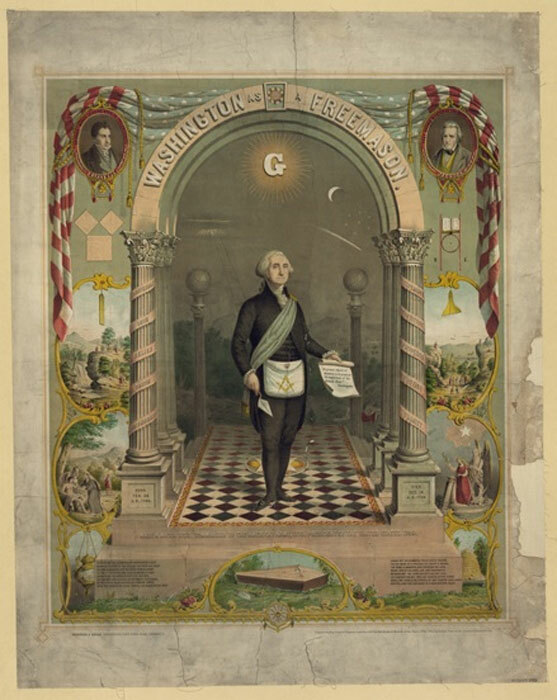 George Washington, full-length portrait standing, facing slightly right, in masonic attire, holding scroll and trowel. Strobridge & Gerlach lithographers, Pike's Opera House, Cincinnati, (1866)( Public Domain) . Having a secretive modus operandi, Freemasons have long been the target of conspiracy theorists who believe they control events on a community level and affect politics and economic on a global scale. The earliest document in which Freemasonry was associated with a global conspiracy was published in 1786, Enthüllungen des Systems der Weltb ürger-Politik (Disclosure of the System of Cosmopolitan Politics), in which Freemasons, Illuminati and Jesuits were said to have plotted a global revolution which many today think of as the New World Order. Since 1782, the reverse side of the Great Seal of the United States has included the Latin phrase ‘ novus ordo seclorum’ , and it has appeared on the back of the U.S. one-dollar bill since 1935. Translating to New Order of the Ages many believe this alludes to the beginning of “New World Order.” ( Public Domain) . Freemasonry, known as the Craft, is one of the world's oldest secular fraternal societies and its origins are found in medieval societies of Scottish stonemasons, and its local member groups called lodges, of which there are now around 650 in Scotland. In Blue, craft and ancient craft lodges, Freemasons work (acted out) three degrees: Entered Apprentice, Journeyman/Fellowcraft and Master Mason; mimicking the organizational structure within lodges of operative stonemasons. Degrees are structured initiations wherein a set of scripted words and actions is conferred in highly-theatrical settings, designed among other things to enrich members’ thinking processes and to encourage both moral and spiritual development through experience and allegorical psychological suggestion. It is argued among Masonic scholars as to 'why and when’ hands-on stonemasons (Operative masons) first permitted non-stonemasons (Speculative masons) into their lodges, but it is agreed that the oldest masonic lodge in the world is Lodge Mother Kilwinning on the west coast of Scotland, with its lodge number being ‘0’ (nothing not zero). 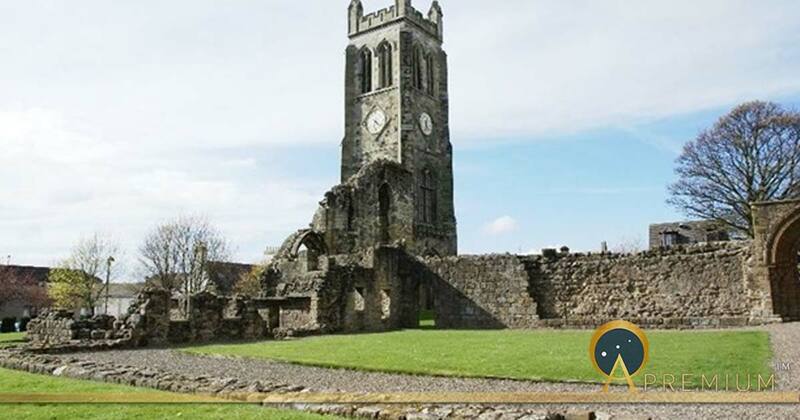 Styled ‘The Mother Lodge of Scotland’ its origins are in the 12th century building of Kilwinning Cathedral, the ruins of which stand behind the lodge. Read more about The Origin of the Knights Templar – Descendants of Jewish Elders?